This week our interview series, Rendezvous with Rovers, takes us into the life of Dave from Cook Sip Go! Dave has been to so many places that I haven’t made it, too. Africa is so far away, so exotic, and I have not explored the continent near enough. I’m always fascinated by his photos and stories. Dave, Where are you these days? Most of your daily photos are from Africa, are you living there now? I am currently based in Nairobi, Kenya. My wife and I arrived in late October and we’ll likely be here for 1-2 years. From the title of your blog, Cook Sip Go, I know that you must love the food and drink along your travels. Do you love to cook, collect recipes, or just eat? I love to cook and had quite a few recipe posts early on in my blog. However, I started my blog in Ethiopia last year and finding many ingredients proved difficult. As a result, my writing and photography have focused more on my travels and the food I encounter along the way. Now that we’re in Nairobi, availability is much less of an issue, so expect to see more cooking on Cook Sip Go in 2015. And I absolutely love to eat and experiment with new cuisines. I find you have more info on Africa than most blogs, is that the place you love most? It’s hard to say where I love most, but my time in Africa has been something that has left a mark on me. Spain is another place that has always captivated me, as I have traveled there quite a bit and am an unabashed lover of its food and culture. 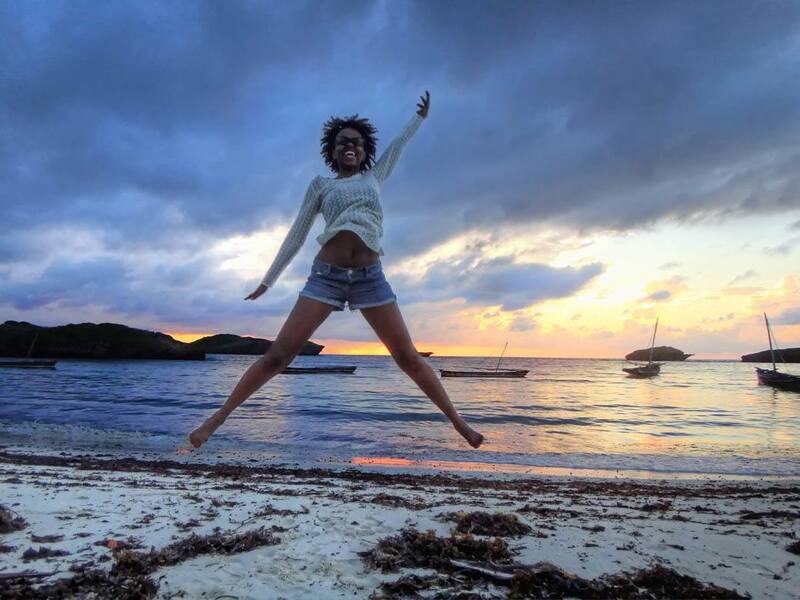 Describe your African travel philosophy. Do you find it difficult to be an independent traveler there? I find the greatest difficultly is to take that first solo trip, as there can be an information gap and maps can become obsolete in a number of months. But I’ve found that people tend to look out for you more when you’re the only foreigner on a minibus packed with locals and I value that touch of human kindness greatly. Can you give us some advice on traveling in places like Ethiopia? 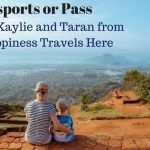 First, search out posts from travel bloggers – you will find that their journey is most likely to mimic yours and that their personal narrative may help you avoid some pitfalls. Second, be prepared for delays and cancellations, as the infrastructure is radically different from most of Europe and North America. Finally, be open to doing something off the itinerary every day. When you’re willing to pull back the curtain, another level of travel opens. What is your overall travel style? Are you more of a luxury traveler or is backpacking more your style? Do you like to be in control and do all your own planning, or do you like to let go and go on tours or go to a travel agent to help out? Do you like to pack a lot into a day or take it easy and follow your whims? I prefer mid-market hotels or guest houses that provide a more personal experience – I feel that some of the appeal of lodging can be lost at the extremes. In terms of planning, I prefer to be in control. But if I feel that the driving and schedule is best left to a tour, then so be it. I pack as much as possible into a day but set aside times to relax and reflect throughout. Sitting back with a beer at lunch and just observing is a treat I look forward to on the road. When you are on the road what kind of schedule do you keep? Are you the go, go, go kind or do you take it slow? Are you after those adrenalin rushes? A lot of my schedule depends on the time I have allotted for the place. If a compressed schedule demands, I will be up photographing at dawn and asleep when I can take no more. Where it seems that I can take it slower, I do (which usually involves sleeping in). Everyone always asks the impossible question of what is your favorite, but just tell us a couple of places that you just love or surprised you, or a place you find yourself going back to, and maybe a place that was a little disappointing and didn’t live up to its reputation. Valencia is not a typical must-do for most people traveling to Spain, but I absolutely adore the city. I studied abroad there in college and keep going back. Valencia is where my love for travel and food deepened and I am eternally grateful for that. Djibouti City was pretty disappointing – not much to do there and walking around the small city center was not a fun experience. My then-girlfriend-now-wife and I had just arrived in Santiago, Chile and for some reason I had not checked the exchange rate before I left. We negotiated down at the cab stand, but when I opened my guidebook and realized that we were paying double the normal fare, I started arguing with the cab driver (thankfully, I speak Spanish). The fare had been paid ahead of time, so the driver could not just refund part of the money. About ten minutes after we checked into our hotel room, I was called to the lobby. In front of the hotel staff, the driver apologized to me, told me she would never work with the cab stand men again and returned the amount we overpaid. I got some very attentive service at the hotel following that interaction! 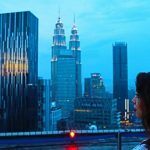 As a blogger, does your travel style change? Being part of the travel blogging community has translated to a bit more perception on the road, as I have a better idea of what may be out there. Throughout my trip, I find that I am constantly asking myself: “Is there something here that would translate to a post that my readers would enjoy?” Also, I take more photographs now as I publish a lot of photo essays and sell my photography. I know you are very involved in social media and your blog readership has been growing fast. Are there any tips you can tell us to help everyone gain readership? Engagement on social media has been key for me. I do my best to reply to every tweet and Facebook comment and seek to interact with others who have something interesting to say or are sharing good content. Overall, it’s a lot of work and growth requires patience. I’ll be returning to Spain in late January. Most of my time will be spent in the south of the country. I’m looking forward to exploring the landscapes and cuisine while there and enjoying the off-season character of Seville. Finally, if you could inspire someone to start traveling, which place would you recommend to him or her as a good starting destination and why? Are there any places that you wouldn’t travel to your first time out and why? Italy, Spain and France are great places to start. Their tourism industries are top-notch, public transport is superb and the food is generally fantastic. Each country presents a wealth of historical and cultural possibilities that will amaze the first-time traveler. I would recommend that one eases in to the developing world. I believe it is important to see how others live, but you should be extremely comfortable being out of your element before you attempt to do so. As Dave said, social media is key, so don’t forget to follow him and keep updated on his travels! Thanks Dave! Who is ready to book a ticket to Africa? I know I am! 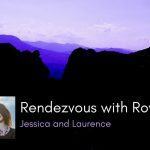 If you would be interested in being interviewed on our Rendezvous with Rovers series, please shoot me an email. You can check out other interviews with great bloggers as well. Mike, Yes…I love Dave’s work. Thanks! Another interesting interview from you Corinne, I’ve been following Dave for a while now so it’s goot to get to know him a bit more. Thanks! Phoebe, I’m glad you enjoyed it. I sooo want to do more of what Dave does…Africa! Spend Valentine's in a Love Hotel!